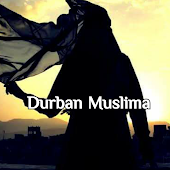 Durban Muslima: Things, not mentioned in Quran and Hadith are prohibited? Things, not mentioned in Quran and Hadith are prohibited? Milaadun Nabi, Giyarvin Shareef, 3 days 10 days and 40 days Khatam is not mentioned in Quran or Hadith. How can these practices be allowed in Islam? The rule is, that everything is Halal unless explicitly forbidden (with the exception of few things like meat or woman, they are Haraam originally, meat becomes Halaal with Shar’ee slaughtering and Ghair Mahram woman becomes Halaal with Nikah). As long as there is no authentic statement from the Qur'an or the Sunnah of the Prophet,صلى الله عليه و سلم that a particular thing is forbidden, then it is considered as Halal. This rule of Shariah must be remembered always “whatever is proven from Quran and Hadith as good or bad that would be good or bad. And something that is not mentioned, it is forgiven, Jaaiz and permissible. If it is done with some good intentions, it becomes Mustahab like Milaad etc. it is done to increase the love of Rasoolllah and educate Muslim community about the Seerah of beloved Rasool” and to regard things as Haram which are not mentioned in Quran and Hadith contradicts Islamic Shariat. From these Ayaat and Ahadeeth and Aqwaal of great Ulama, it is clearly understood that this so-called principle “if something is not mentioned in Quran or Hadith, it is prohibited or impermissible” is not an Islamic Shariah based argument, it is a man made law, and is invalid in Shariah. Therefore, since Milaad, Guyarvin and some other practices of Ahlus Sunnah which are not mentioned in Quran and Hadith are indeed permissible because they are not prohibited. The one who askes proofs from Quran and Hadith for these practices, is totally ignorant of rules of Shariat.